A free three-seminar series, called “What’s Jewish about Jewish Food?” will be given by Rabbi Shalom Lubin, spiritual leader of Congregation Shaya Ahavat Torah in Parsippany and director of Chabad of Southeast Morris County in Madison, to open this year’s National Council of Jewish Women West Morris Section Rabbi Lecture Series at the Morris County Library, Whippany. The Rabbi Lecture Series is coordinated by the organization’s Our Jewish World program, headed by Melanie Levitan and Ilene Dorf Manahan, both of Morristown. It will be held at noon on Tuesdays, Oct. 9 and Oct. 16, and Monday, Oct. 22.
fish, matzah balls, kreplach, stuffed cabbage, kugel, kishke, herring and cholent. “Many traditionally Jewish foods were created as a direct result of various Jewish laws and teachings, and in this exciting series we will be discussing both the present-day variations of these foods, based on geographical and cultural differences, as well as the history and background of how these foods became a part of Jewish culture,” said Lubin. The seminar leader is the founder of the New Jersey Jewish Law Symposium, an annual event highlighting the synthesis and integration of the Talmud, the Jewish legal system, and U.S. civil law. 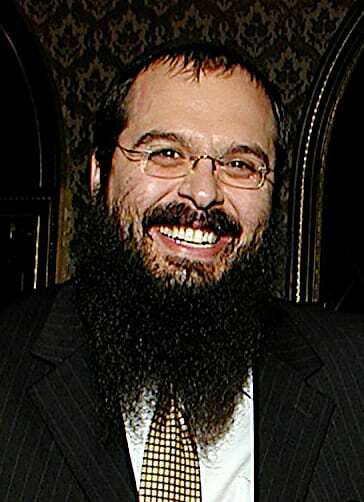 Born and raised in Chicago, Lubin began his relationship with the Jewish community in New Jersey in 1996 while he was studying at the Rabbinical College of America in Morristown. His rabbinic training took him around the world, including to Sydney, Australia; Bellevue, Washington; and Minsk, Belarus.